We’ve Been Helping Our Clients in Nashville For 2 Decades. An unexpected accident can have devastating consequences. All too often, these accidents occur when another person, company, or entity is negligent. One careless or reckless action can lead to a lifetime of pain, suffering, and ongoing medical care. At Jeff Roberts & Associates, PLLC, we stand up for the rights of injured individuals and their families. With nearly 20 years of experience, we are capable of handling even the toughest, most complex of personal injury claims. We have helped people after a car accident left them unable to return to work or a slip and fall resulted in extensive, costly surgeries. Our Nashville personal injury attorneys understand just how overwhelming such accidents can be—that’s why we’re here to handle every aspect of your case so you can focus on healing. We are a local personal injury firm, based in Nashville and serving clients in Nashville, Gallatin, Ashland City, Franklin, Murfreesboro, Lebanon, Dickson, Springfield and the surrounding areas. We are dedicated members of the local community, and we make it our mission to help our fellow Tennesseans when someone else’s negligence leaves them struggling to get back on their feet. We only take on select cases so that we are better able to serve each and every client. Over our decades in practice, we have successfully recovered millions of dollars on behalf of our clients; find out how our team can help you with your case. Get in touch with us today by calling (615) 425-4400 or by filling out a confidential contact form. We offer free, no-obligation consultations and contingent fees, meaning you don’t pay unless/until we secure compensation for you. No matter how complex or difficult your case, our firm can help you clearly understand your legal options and take action against the liable parties. We regularly assist clients with all types of personal injury cases, including car, truck, and motorcycle accidents; bicycle and pedestrian accidents; slip and falls; dog bites, and more. We also handle a variety of other cases, including those involving workers’ compensation, Social Security Disability benefits, and whistleblower claims. Most of all, when you trust your case to our firm, you get a team of skilled and experienced Nashville personal injury lawyers who are committed to fighting for you and your family. We do everything we can to make the process easier for you—we’ll even come to you if you aren’t able to make it to our office. As a former insurance claims adjustor, our founding attorney, Jeff Roberts, has a unique understanding of the lengths insurance companies will go to in order to deny or devalue claims. We use this knowledge to skillfully fight for our clients. Don’t Wait to Get Help! Contact Our Firm Today to Schedule a Free, No-Obligation Consultation. SERVING NASHVILLE AND SURROUNDING COUNTIES FOR MORE THAN 20 YEARS. Jeff Roberts & Associates, PLLC? We’ve recovered millions of dollars on behalf of clients. We’ve been helping clients for nearly 2 decades. If you can’t make it to our office, we’ll come to you! Our founder was Invited to attend the exclusive month-long course at the Gerry Spence Trial Lawyers College in Dubois, Wyoming. Jeff Roberts is a former claims adjuster for an insurance company and he has knowledge and experience “from the inside” working for an insurance company. Jeff Roberts & Associates is the best! Jeff Roberts is the best attorney in Nashville, period! I would refer Jeff Roberts & Associates a thousand times over! I found Jeff and his team to be very professional. Jeff came to our house and answered a ton of questions. There is not a more caring being on this planet than Jeff. CONTACT OUR FIRM AT (615) 425-4400 TO LEARN ABOUT YOUR LEGAL OPTIONS. With our years of experience, vast legal knowledge, and exceptional trial skills, we vigorously pursue the best possible results for each client and individual case. 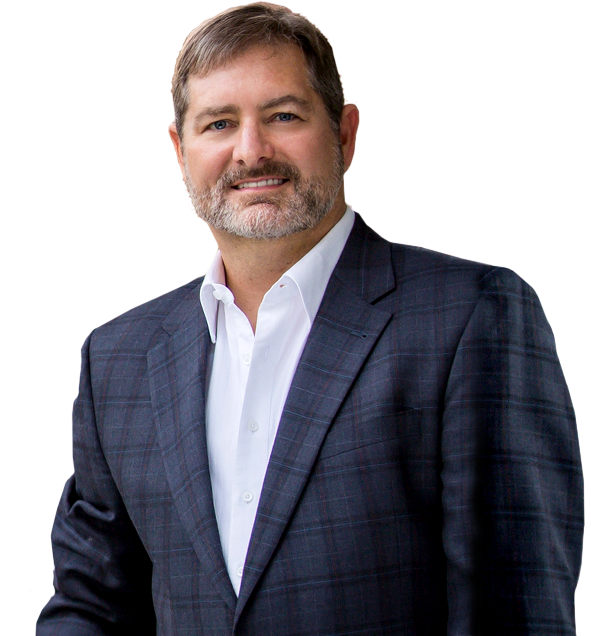 Jeff formed his own law firm, Jeff Roberts & Associates, PLLC, where he continues to represent injured clients throughout Tennessee. Jeff’s practice continues to mainly focus on plaintiffs’ personal injury, workers’ compensation, civil rights violations, and disability claims. His office is located in the heart of downtown Nashville in the “Fifth Avenue of the Arts District,” the same place he has been since 2002. Settlement for a severely injured man after a tractor trailer accident. Settlement for bicycle rider who was struck by a dump truck while properly riding on the shoulder of the road. Settlement for bus passenger who suffered a fractured pelvis after the bus driver crashed. Settlement for a motorcycle rider who was struck by a negligent ride-share driver. Wrongful death settlement for man injured by reckless driver. Settlement for a man injured by an intoxicated spectator at a football game. Judgment for an injured worker exposed to toxic chemical fumes. Insurance policy limits settlement for wrongful death claim. Settlement for a couple injured in a car accident.